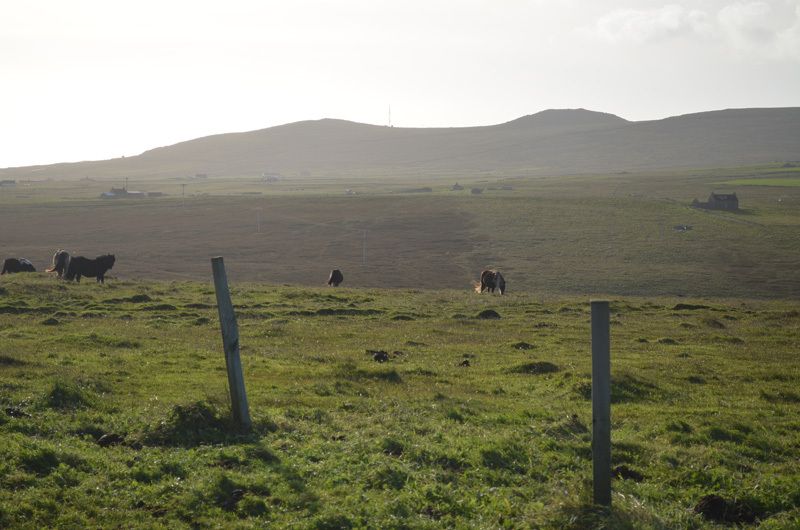 I knew very little about Unst, the most northerly of the Shetland Islands prior to arriving for a month long work exchange at the most northerly hotel in the UK. I had arranged the placement on a total whim – I was tired of my hectic life in London life and had quit my job to coincide with a 2 week trip to Brazil for the opening of the football World Cup. I had no plans beyond the Brazil trip and felt the need for a spontaneous and semi unplanned adventure. The previous Christmas, my uncle and his friend had spread out a number of Ordnance Survey maps of the Shetland Islands. Pointing to places on the map, they recalled tales from their adventure with the aid of printed photographs, which were often shrouded in mist and drizzle. But there was something magical in the pictures that struck a cord. The names of some of the 15 habited islands; Unst, Yell, Fetlar, all sounded so mystical, so far away. Despite being part of the UK, I wasn’t even aware that the Shetland Islands were made up of a group of islands. In my head they consisted of one single island, so far from the UK, that they would always be placed in a separate box on the nightly weather reports. 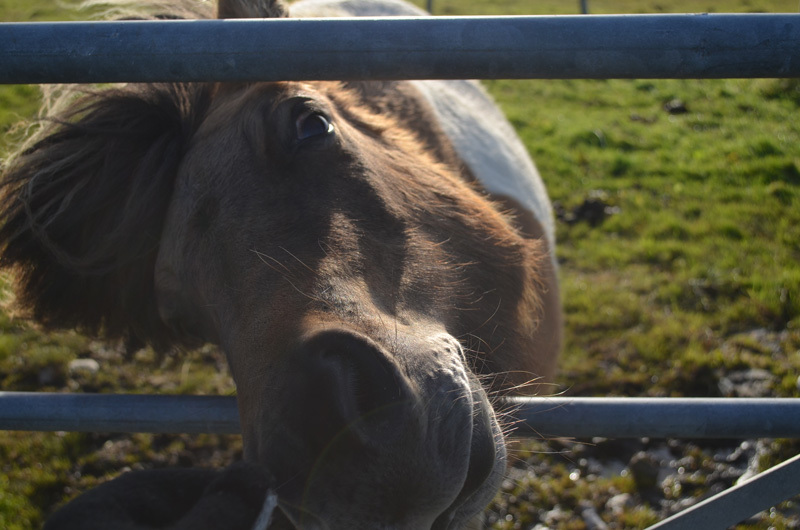 I checked my my trusty HelpX website to see if there were any work exchange places available and found that the most northerly hotel in the UK needed help during the summer. I emailed immediately and within 2 days had arranged a month long placement. I had one crazy week of transiting, from Rio De Janeiro on the Sunday, to Porto in Portugal on Tuesday, London on the Wednesday to swap my Brazilian winter gear for Scottish summer weather gear. 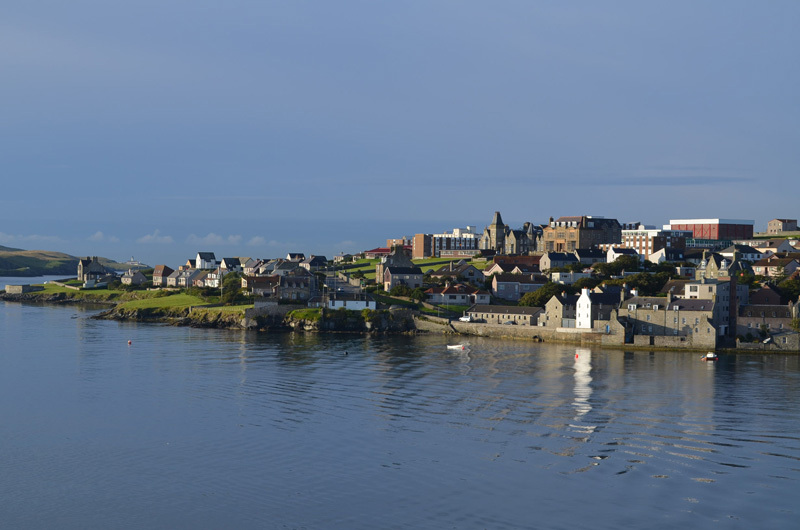 On Thursday a £10, 12 hour Megabus ride from London to Aberdeen for the overnight ferry to the capital, Lerwick. 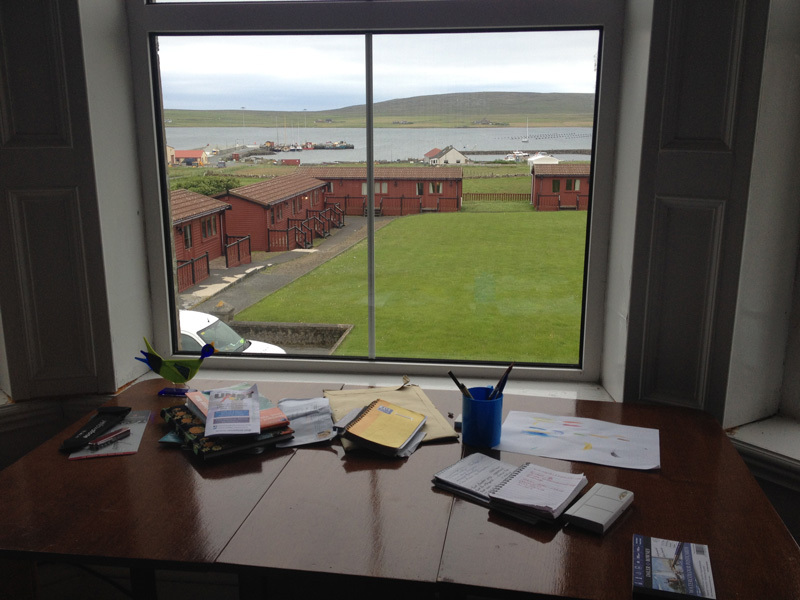 It took 3 more buses and 2 short ferry rides for me to arrive at the Baltasound Hotel on Unst, where I worked 4-6 hours a day doing anything from gutting fish and cleaning scallops from the neighbouring island, to changing beds and washing dishes in exchange for free food and accommodation and free time to roam the islands. 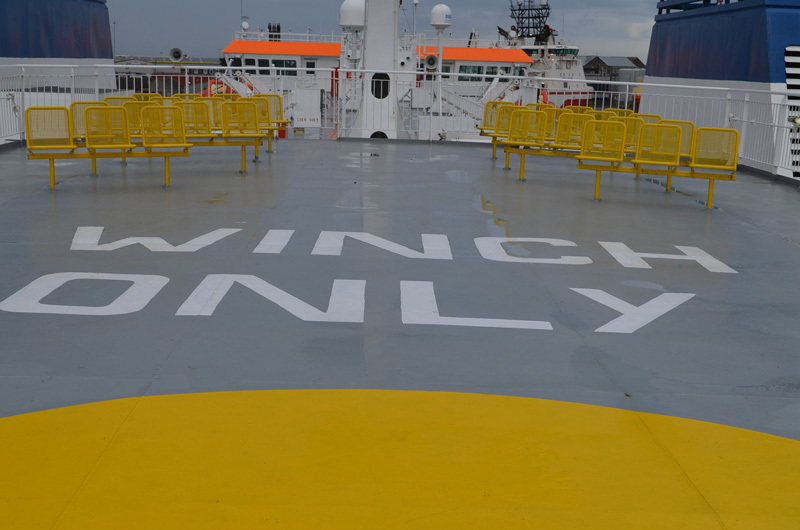 The staff were a mixture of islanders and other work exchangers from Australia, Spain and Romania. At our evening meals, we swapped tales and tips on where to go and places to explore on the remote island. ‘You must go up to Hermaness Nature Reserve on your first full day off, it’s magical’. 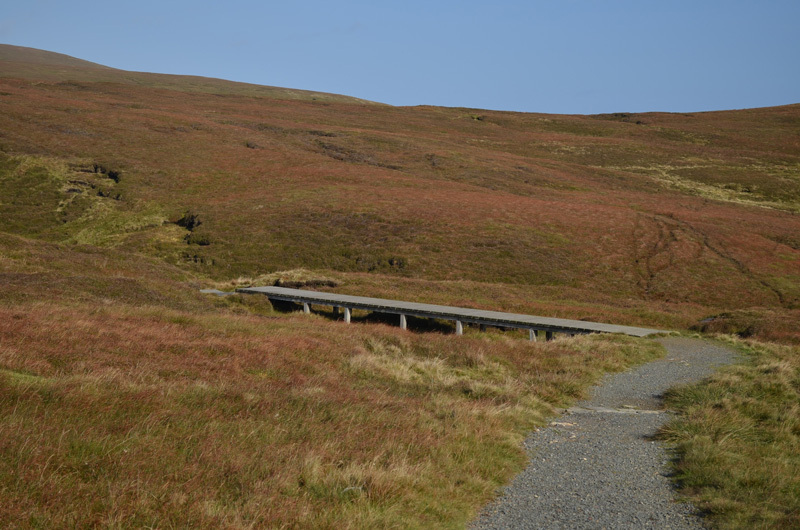 The public transport on Unst is limited, and doesn’t run beyond the small village of Haroldswick, so I made the last 4 miles up to the start of the reserve on foot. 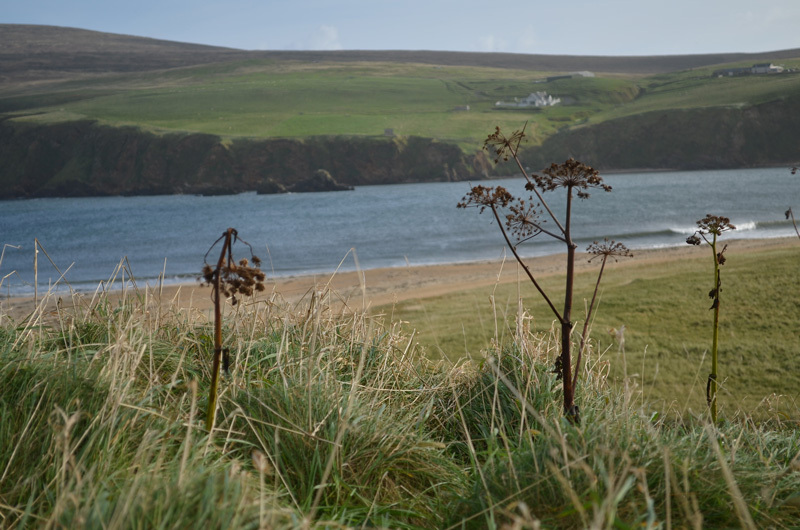 The winding road lead me past fields of roaming Shetland ponies; wild, open and unforgiving landscapes culminating in a wide, arching sandy beach. At the end of tarmac road is the RSBP’s warden hut, with a small visitor centre open from late April to September. Inside is a fantastic display of information about the various bird life and the history Muckle Flugga lighthouse which lies on a separate island, and marks the official last outpost of the the UK. A series of gravel and muddy paths end in an open boardwalk which lead the way to the cliffs, past windy and exposed marshy land. Watch out for the Great Skua (Bonxies, in Shetland dialect) which can swoop low and get notoriously aggressive if they believe you to be a threat to their nests. The boardwalks meet distance ends, the cliffs. I was unprepared for view that lay in wait. 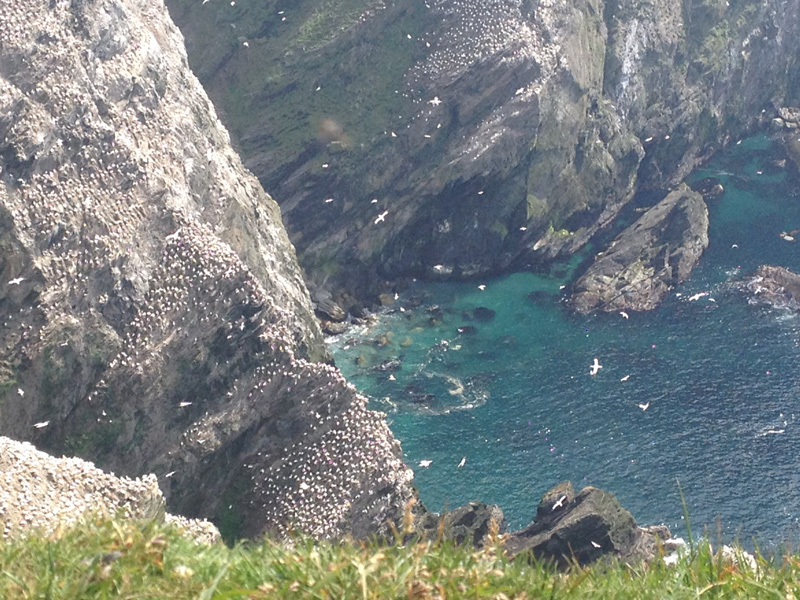 Amongst the burrows on the cliff, scores of puffins were nesting for the summer, and over the roar of the ocean danced a cascade of gannets, so tightly packed they looked like snowflakes cascading from the sky. It’s somewhat of a cliché when travelling to describe places that ‘take our breath away’ but this place made me catch my breath with unexpected beauty. 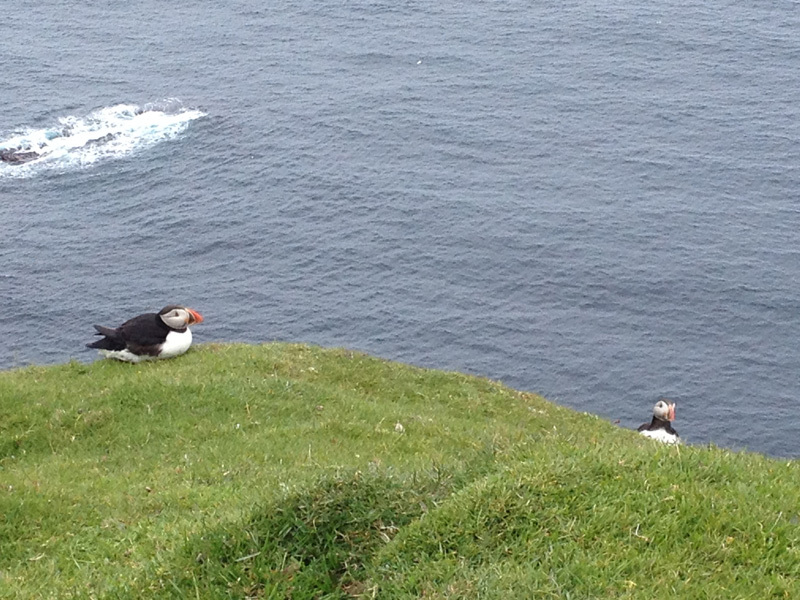 I had no preconceptions on the place, as I had done no prior planning for my stay on Unst, which intensified the magic. 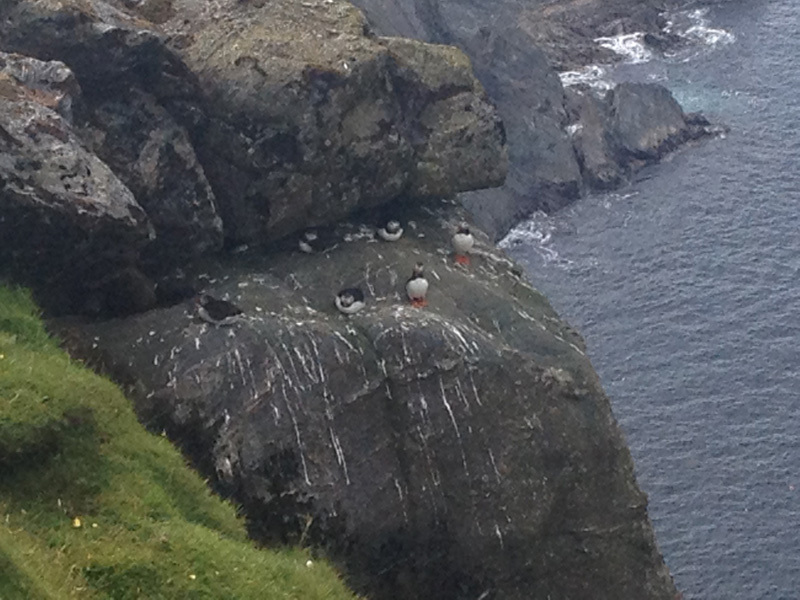 I was almost alone on the cliff top, apart from two German wildlife photographers and a flock of sheep. I spent a while staring out to sea, contemplating the mad last month of travels from London, to Brazil to the Shetland Islands and how each place had left it’s mark on me. I continued on to the most northerly point, to the iconic Muckle Flugga lighthouse, built by Thomas and David Stevenson in 1854 and considerd what life must have been like for the men who used to stationed there up until 1995. 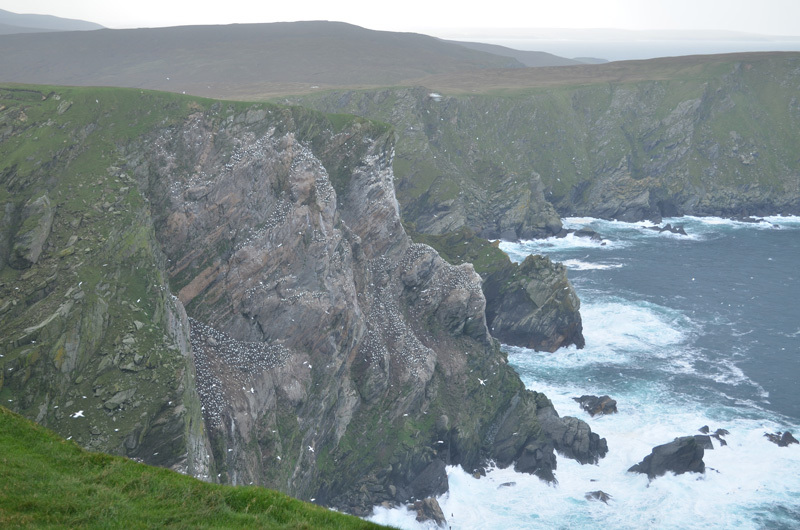 It now lies empty, enduring the endless wild Shetland waves and weather. Two years have now passed since that summer. I recently attended a Chinese tea ceremony which began with an eight minute meditation session. We were asked to focus on positive thoughts or people and places that bought happiness to our lives. There are many places that have left a mark and impact on me, but it was Hermaness at which my mind came to a rest. 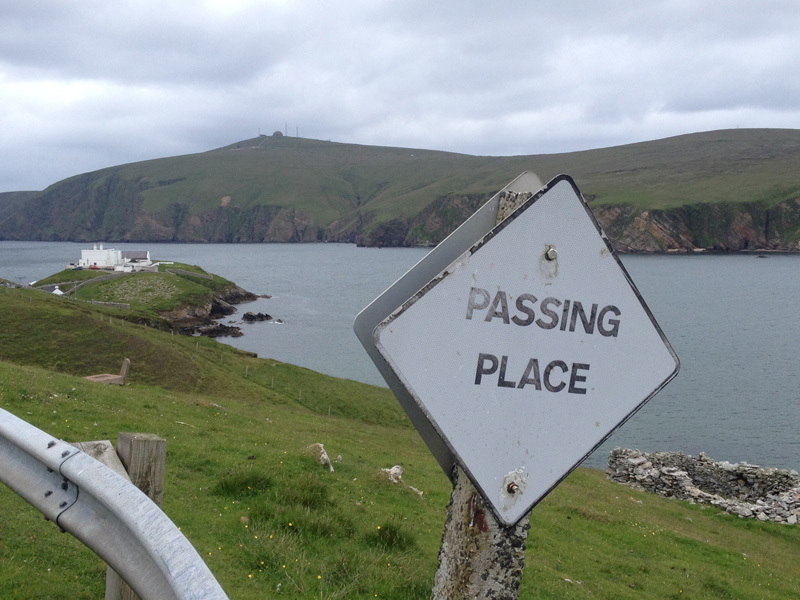 The end of the road, that last outpost of the UK. Unconnected from the outside world, but connected and at peace with myself and the world. Hi Rebecca. 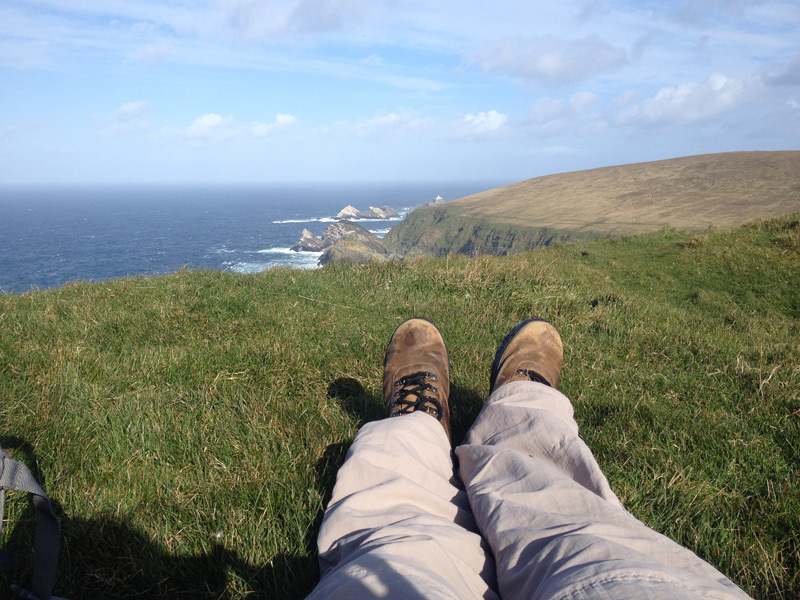 What a lovely post on your visit to Hermaness National Nature Reserve. 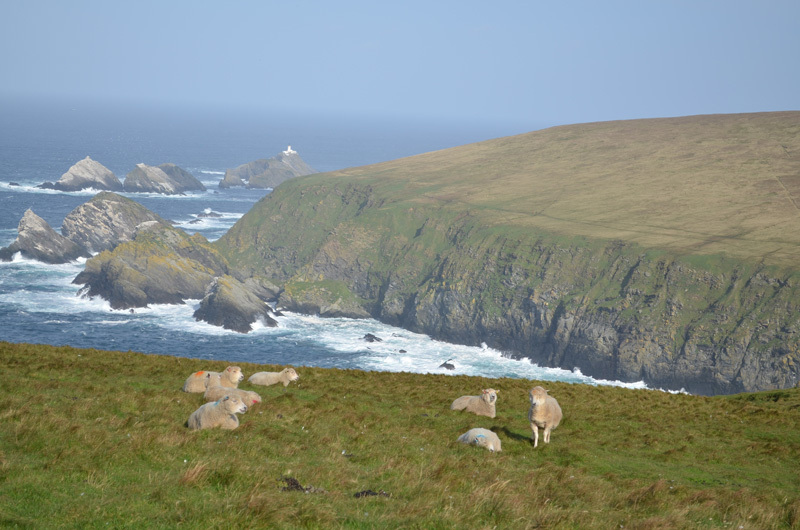 I just wanted to point out that the visitor centre in Muckle Flugga Shore Station continues to be open during the summer months – late April to the end of September (it is a separate private flat in the building which is for sale).